You want them to have treatment as sophisticated and compassionate as you might receive yourself. You’re not alone. Today’s veterinarians realise that pet owners are very knowledgeable, and expect a more advanced level of care. The practice of pharmacy compounding is becoming a popular solution to veterinary problems. Compounding is the art and science of preparing customised medications for patients. 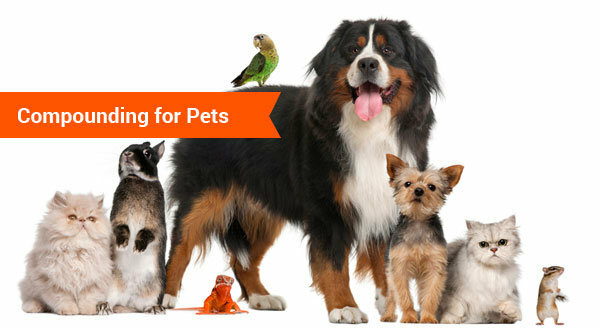 Its resurgence in recent years extends valuable benefits to today’s pet owners. Animals often have variations of the same diseases humans can have, including skin rashes, eye and ear infections, heart conditions, cancer, and diabetes. Medicating pets presents unique problems that often are best dealt with through compounding. A pet who refuses to take medication because of the taste is a prime opportunity for compounding. Cats don’t like pills, but they do like tuna. Dogs don’t appreciate a traditional solution of medication being squirted into their mouth, but they’ll take it gladly when it’s flavoured with meat or part of a tasty biscuit or treat. Birds cannot take large volumes of liquid medication, but they will accept a small dose of a tasty, fruit-flavoured, concentrated solution. By working closely with your veterinarian, a compounding pharmacist can prepare medicines in easy-to-give flavoured dosage forms that animals happily devour, whether your pet is a cat, dog, bird, ferret, or snake. Just like their owners, animals are individual and unique. They come in different shapes and sizes, and may be sensitive to ingredients like lactose. As a result, not all commercially available medicines are appropriate for every pet. That’s where compounding is especially helpful. In this situation, your veterinarian can prescribe a flavoured liquid, treat, or other dosage form with the amount of medication that is exactly right for your pet’s size and condition. From time to time, a manufacturer may discontinue a veterinary medication. Often this is because it is not needed in the vast quantities necessary to make mass production cost-effective, but that doesn’t mean there aren’t still some pets that need it. When that medication has worked well for animals, a compounding pharmacist can prepare a prescription for the discontinued product – and tailor the strength, dosage form, and flavour to that pet’s specific needs.